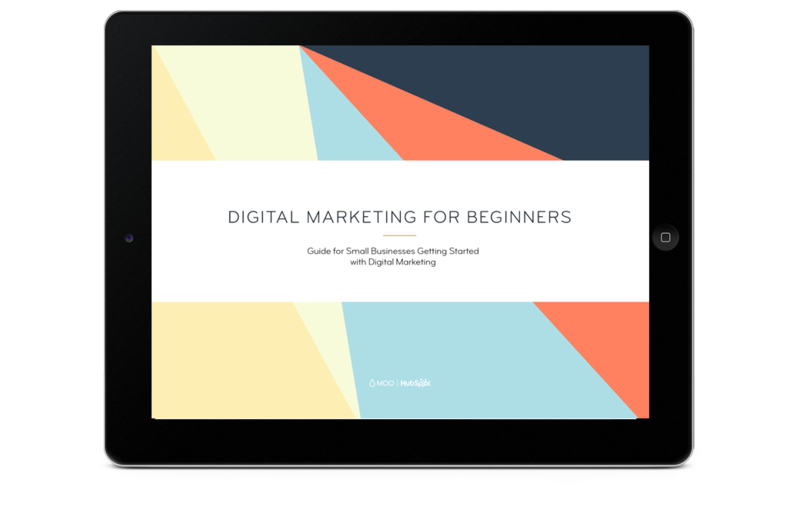 The fundamentals of getting started with digital marketing tactics to grow your small business. Measuring the effectiveness of digital marketing is one of the greatest challenges facing organizations today. According to HubSpot's 2018 State of Inbound report, 42% of marketers cited "proving the ROI of our marketing activities" as one of the biggest challenges they face within their company. Brands also say they plan to increase spending on marketing analytics by between 75 and 100 percent, says a study by VentureBeat. The trouble is, when most marketers hear 'digital analytics,' they tend to think of the metrics you'd typically associate with a simple web analytics tool like Google Analytics — traffic, bounce rate, unique visitors, etc. While web analytics can provide you with a wealth of insight and data into the performance of your website, marketers need richer data to understand the impact of their marketing campaigns on conversion rates and a buyer's journey. Looking at top-level web analytics metrics like traffic is only the first piece of the puzzle. Enter: digital marketing analytics, which offers a much more comprehensive view of what's working when it comes to your marketing strategy — and what isn't. Regardless of how you fit into your company’s marketing puzzle, learning how to understand and leverage digital marketing analytics is incredibly important. Analytics data not only tells you if your marketing is working (or not), but it also tells you precisely how and where you can improve. This type of insight can benefit everyone. That’s why we built this guide. We want you to master marketing analytics so your business can grow better. Below, we’ll talk about what marketing metrics to monitor, how to read and apply them to your marketing decisions, and how to leverage them to grow your business and bottom line. Bookmark this guide for future reference and use the chapter links below to navigate through the content. Digital marketing analytics is the translation of customer behavior into actionable business data. Today's marketers can use digital analytics tools to examine the many online channels their buyers might interact with and identify new revenue opportunities from existing campaigns. Digital marketing analytics also give the creative, fluid side of marketing a data-driven foundation on which businesses can build a profitable, scalable marketing strategy. Analytics draw the line between opinion and fact. Before we dive into how to use digital analytics for your business, let’s talk about what marketing metrics you’ll be measuring and analyzing. Digital marketing metrics are statistical measures that marketers use to determine the success of various marketing efforts as they relate to their overall campaign goals and industry standards. You’ve heard of vanity metrics, yes? Vanity metrics are the surface level numbers that often tease you into thinking your efforts are working. Unfortunately, to get a clear picture of your campaign’s impact, you need to look at a wider variety of actionable metrics. We’ll be covering both in this section. Here’s a comprehensive list of all the marketing metrics you need to know — and what they can tell you. The following are digital marketing metrics associated with websites and web activity — a.k.a. web analytics. A Visitor (or User) is someone who visits your site. Visitors are tracked by a cookie placed in their browser by a tracking code installed on your site. A Page View is when a page on your site is loaded by a browser. A page view is measured every time your tracking code is loaded. A Session is a series of activities taken by a visitor on your website, including page views, CTAs, and events. Sessions expire after 30 minutes of visitor inactivity. Traffic by Channel is the total number of site or page visits per referral channel, e.g. social media, email, landing pages, etc. Traffic by Device is the total number of site or page visits per device type, e.g. smartphone, tablet, desktop, etc. The following are digital marketing metrics associated with lead magnets and content offers. The following are digital marketing metrics associated with email marketing. Opens by Device is the total number of email opens per device type, e.g. smartphone, tablet, desktop, etc. The following are digital marketing metrics associated with content and social media. The following are digital marketing metrics associated with e-commerce. This section serves as a high-level review of the most important marketing metrics per channel. Depending on what software you use or marketing channels you pursue, you may see different metrics. So, why exactly do digital marketing analytics matter? Let's take a look at what makes digital analytics so important today, and how they compare to (and improve on) the insights offered by more basic web analytics. Quite simply, web analytics (like many of the metrics we defined above) just isn't enough. The data that web analytics provides alone doesn't cut it for marketers who need to understand how their work makes an impact throughout the entire marketing and sales flywheel. Let's face it: Today's marketing extends well beyond the bounds of your website. It also includes how your marketing channels interact, the insight you gain from those outcomes, and the progress you track through your reporting. This perspective provides the foundational data you need to structure your flywheel — delighting your existing customers enough to attract and engage new ones. Web analytics measure things a webmaster or technical SEO specialist cares about, like page load speed, page views per visit, and time on site. Digital marketing analytics, on the other hand, measure business metrics like traffic, leads, and sales, and allows you to observe which online events determine whether leads will become customers. Digital marketing analytics include data not only from your website, but also from sources like email, social media, and organic search. With digital marketing analytics, marketers can understand the effectiveness of their entire marketing strategy, not just the effectiveness of their website. Using digital marketing analytics allows marketers to identify how each of their marketing initiatives (e.g., social media vs. blogging vs. email marketing, etc.) stack up against one another, determine the true ROI of their activities, and understand how well they're achieving their business goals. The central question is: How can you structure an appropriate business goal to visualize your marketing team's efforts in the most accurate way possible? You can spend hours and hours slicing and dicing data in web analytics tools, comparing new vs. repeat visitors month over month. But when it comes down to it, you'll come up short of a truly comprehensive view of your marketing performance. There's no doubt that marketers are aware there's a deficiency in how they're able to measure the effectiveness of what they do; here's how full-stack digital marketing analytics makes up for that deficiency. Download our free ebook on inbound marketing analytics — the key metrics your executives really want to see. Let's highlight these main differentiators. Digital marketing analytics provides a good, solid look into the direct relationships between your marketing channels. It's great to be able to see how each of your individual channels (e.g., social media, blogging, email marketing, SEO, etc.) are performing, but the true power of analytics comes into play when you can easily tie the effect of multiple channels' performances together. For instance, let's say you sent an email to a segment of your database. Digital marketing analytics not only tells you how many people clicked through from your email to your website but also how many of those people actually converted into leads for your business when they got there. Looking at all of this information in aggregate can help you understand trends among your prospects and leads and which marketing activities are valuable at different stages in the buyer's journey. Perhaps you find that many customers' last point of conversion was on a certain ebook or white paper. Having this data makes it possible to implement an effective lead management process, enabling you to score and prioritize your leads and identify which activities contribute to a marketing-qualified lead (MQL) for your business. Download our free ebook on closed-loop marketing and take your digital marketing analytics to the next level. The only requirement here is that your digital marketing analytics system is hooked up to your customer relationship management (CRM) platform. Having this closed-loop data can help you determine whether your individual marketing initiatives are actually contributing to your business' bottom line. Through it, you can determine which channels are most critical for driving sales. By measuring the relationship between marketing channels, tracking people-centric data, and analyzing what revenue is linked to which efforts, you’ll be equipped to set goals that support your bottom line. Now, let’s talk about how to use these marketing analytics effectively. Most marketers know they need to be looking at more than just traffic and website performance to get the insights we've talked about so far. But why do so many of us still struggle to measure the impact and prove the ROI of our online marketing activities? We don't have the means to measure our success. Quite often, you'll find it's a combination of the two. Master SMART Marketing with our free, goal-setting Excel template. For example, they gather data about their email marketing through the analytics provided by their email service provider, information about their social media performance through their social media monitoring tool, blog analytics from their blogging platform … and the list goes on. But this fragmented approach to reporting makes it really difficult to connect the dots and make informed decisions about the future of your digital strategy. The ideal solution is to implement an all-in-one marketing and reporting platform that offers end-to-end visibility on your marketing activities, allowing you to measure everything in one place. Rather than just looking at canned reports for each traffic source you can use custom reporting capabilities to construct data charts that depict an entire marketing campaign's progress, not just how certain content is doing through certain channels. Here's how you can configure your digital analytics to capture this holistic view, showing you where a potential buyer came and where they are going. We'll use HubSpot's Marketing Hub as an example. Here are some of the types of analytics you can see in a quality marketing tool:. This is an easy report that you can configure by date range and/or original source to show what marketing channels you can capitalize on to turn more of that traffic into leads and customers. You can use HubSpot's Traffic Analytics tool to get access to this. This report quantifies your impact by the number of new contacts you’re able to create based on the first content offer or form submitted, and tie that back to the original source of that lead. Another way to look at this is to segment your contacts by a particular persona to show which ones are giving the most return for which your team is creating content. This custom report depends on your use of the marketing qualified lead lifecycle stages, visualizing those that converted into customers and their relative value in terms of revenue generated. These closed-loop reports are just some of the capabilities available to depict your progress towards your business’s bottom line. All of the insights, information, and data you can gather from your digital marketing analytics tool(s) is really only useful if you do something with it. The true value of analytics isn't just to prove the value of marketing to your boss; it's also to help you improve and optimize your marketing performance — on both an individual channel-by-channel basis as well as an overall, cross-channel machine. With digital marketing analytics, you should also be able to implement closed-loop reporting, making it easier to prove how your marketing efforts are positively impacting your sales team, who are being fed much higher quality leads. 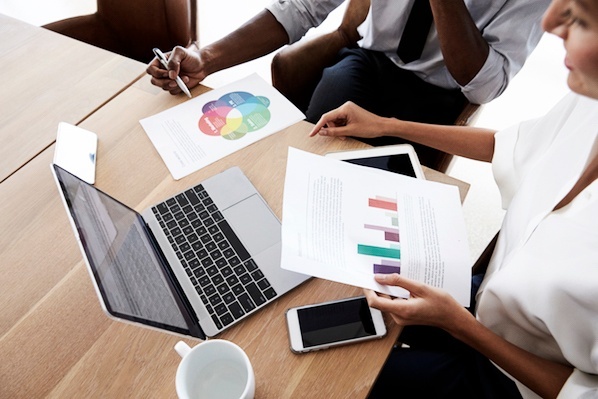 The most important takeaway from this article is: If you're relying solely on top-level web analytics, you're missing out on a lot of powerful data that can help inform your marketing strategy and better connect with your audience and customers. So, when evaluating digital analytics tools for your business, be sure you're looking for evidence of digital marketing analytics, not just web analytics. While web analytics provide a rosy picture of your top-line activity, digital marketing analytics can help you turn your business objectives into measurable outcomes that support your bottom line. Prioritize the data that reflects people — not page views — and you’ll be growing better in no time. HubSpot was founded in 2006, so we're a relatively small startup company. One issue I have been pondering recently is the HubSpot brand, and how much (or little) we had grown the brand in the past year or so.